Your health + beauty in one simple sachet. Fight the effects of ageing faster and more comprehensively with this advanced beauty formulation containing our 100% pure marine collagen along with 9 other vitamins, minerals and botanicals. 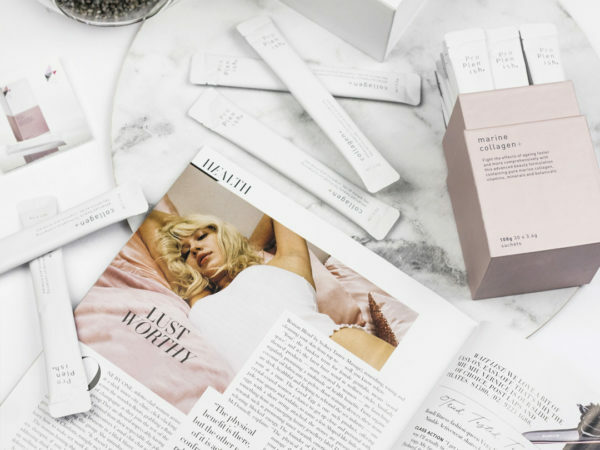 Simply dissolve the edible powder into your favourite food or drink— a one step, once daily routine that works from within to reinvigorate your skin, nails and hair, for a more radiant, more youthful looking you. Purchase this product now and earn 60 VIP Reward Points! No longer do you need to take an array of supplements, get all that you need in one convenient sachet a day. 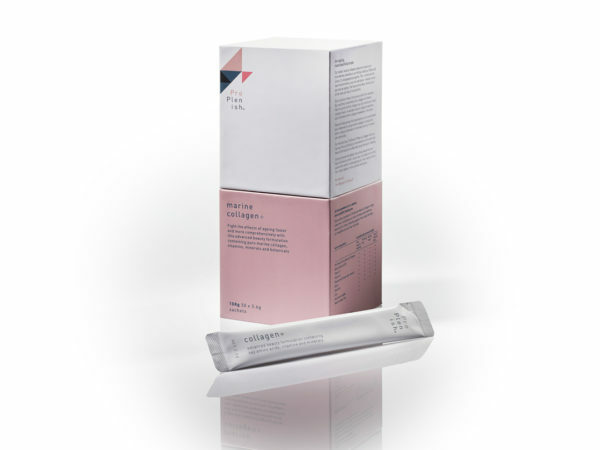 For the first time, ProPlenish Marine Collagen+ lets you harness the scientifically proven benefits of this advanced beauty formulation to effectively target the signs of ageing. 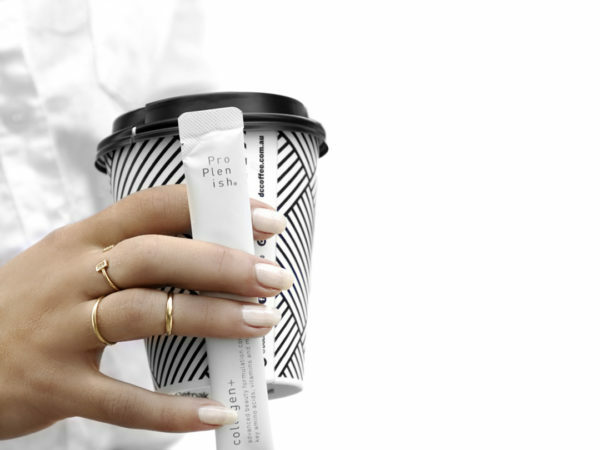 Each active ingredient in ProPlenish Marine Collagen+ plays a key role in boosting your skin’s firmness and resilience, reducing fine lines, protecting against free-radical damage and strengthening your hair and nails. Our bodies’ natural collagen production slows in our mid-twenties, dwindles in our thirties and by our fifties and sixties, it’s disappeared altogether. This—combined with harsh environments, poor diet and toxins—results in what we know as ageing: fine lines and wrinkles, thinning hair, brittle nails and loss of muscle tone. But as science shows, the process is far from inevitable. By proactively replenishing lost collagen with Mother Nature’s pure marine collagen, you can restore your body’s collagen levels, re-activate natural collagen production, and minimise further collagen breakdown in the future. Research also proves this rejuvenation can be accelerated and enhanced, by using marine collagen in conjunction with a unique combination of nine key vitamins, minerals and botanicals.